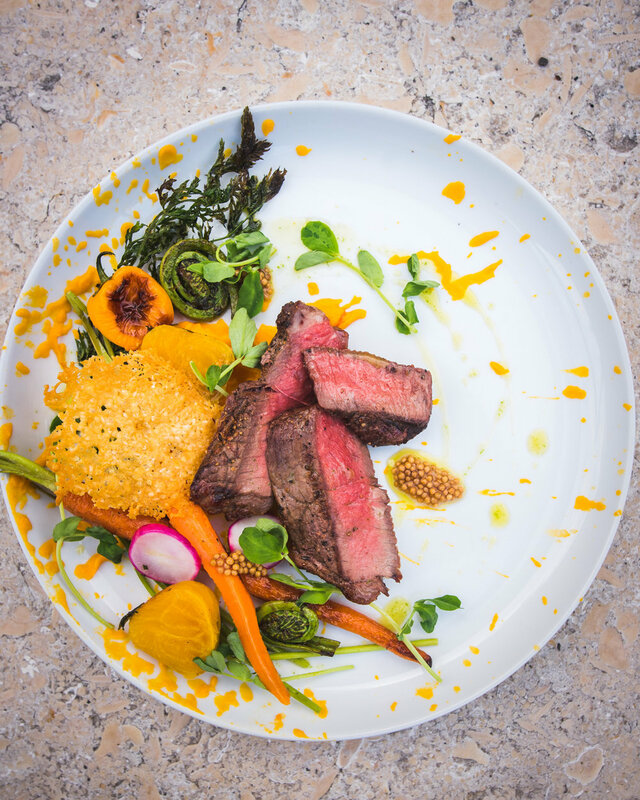 At Blend, we are committed to consistently producing excellent food that combines our experience, global exposure and passion to provide premium quality food options to our clients. So you want to host a party? Know that in addition to a great mix of people and atmosphere the most important part of making your event a success is by providing your guests with amazing food. At Blend, we offer a wide variety of food options to wow your guests. From elaborate Cheese and Charcuterie Boards to gorgeous and bold flavoured Passed Hors D’Oeuvres we’ve got you covered for whatever vibe you’re trying to attain. Check out our Party Menu options and let us help you create a memorable event. Office lunches getting a little lame? Tired of the same old pastry platter in your morning meetings? What better way is there to spice up the 9-5 work week then by bringing in an delicious and wholesome meal? We want to motivate your staff to get creative and push through the workweek in a super productive way by providing them with inspiring and wholesome food options. From healthy Greek Yogurt Parfaits with Mascerated Berries and Housemade Granola to Pillowy Buttermilk Biscuit Sandwiches with Aged Cheddar, Double Smoked Bacon and Egg Frittata we’ve got your morning breakfast meetings covered. Weddings and Gala’s and Parties oh my! We know how overwhelming it can be to plan an event for a ton of people but we certainly don’t want you to stress about the best part (the food, obviously!). We also know how important some of these events can be to you and can relate to how you want every single detail to be perfect. So, we like to work with our clients to create menus that will be perfectly suited to the Bride and Groom’s taste or to impress and inspire guests to spend big at your charity event. Do you know EXACTLY what you want served at your event? Cool, give us the menu and we’ll execute it for ya! Need some inspiration, suggestion, guidance? Check out some of our sample menus and let yourself get excited about the fact that you know people will be talking about how GREAT the food was at your event for years to come. Serious question; when was the last time you sat down with your family/friends and enjoyed a great meal at home? If the answer isn’t “last week” then you’re missing out friend! Breaking bread with our loved ones is soooo important and we want you to do it all the time. No, we’re not crazy, silly!! We know that you’re really busy and probably just don’t have the time to cook (or maybe it’s not your forte) but we also don’t want that to stop you from enjoying this bonding experience. Hire us to come into your home and cook for you or pick up a Gourmet Take-Home meal that just needs to be heated in it’s ‘oven-proof’ disposable container and thrown on a platter (or 2).